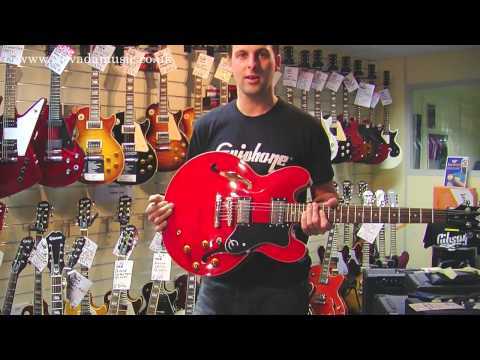 The Epiphone Casino is one of Epiphone's most-popular and legendary guitars, and has been one of the most well-loved semi-acoustic guitars i.. The Epiphone Casino is one of Epiphone's most-popular and legendary guitars, and has been one of the most well-loved semi-acoustic guitars in rock - from The Beatles and Rolling Stones to U2 and The Libertines. The combination of the distinctive semi-acoustic, warm tone with hot P-90 pickups is hard to beat! From Jazz to blues, classic rock to indie or even punk, the Casino always gets the job done. The most cost-effective way to get your hands on a truly timeless guitar, as used by the likes of John Lennon and George Harrison.